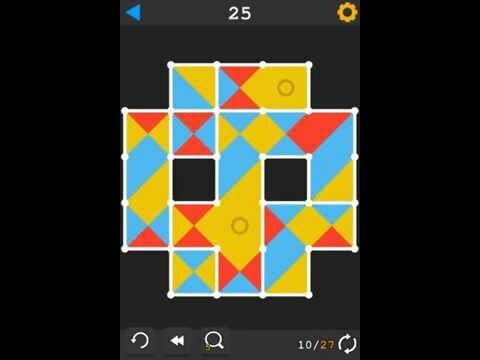 Colorazy is a fun addictive free puzzle game about colors and mazes. Your goal is connect two dots so that the route passed through all cells on the field. But it's not so easy! You can move from one cell to another only if the colors of connected sides are equal. So, to make a route and to complete puzzle, you need to properly rotate cells on the field. Colorazy is the real joy for your eyes! Puzzles look like mosaic or kaleidoscope, and you can customize color palettes in game settings. Play through hundreds of puzzles, from easy to extremely hard.